Is it possible for math-phobic students to learn math? Yes! 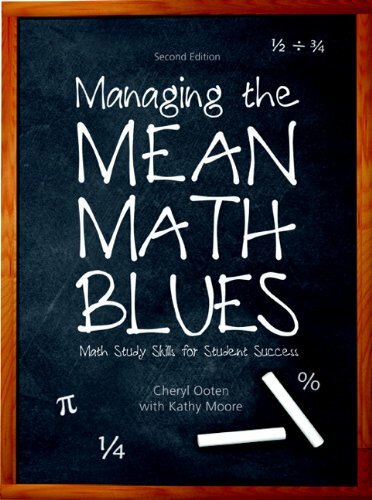 Not only can they learn math, they can excel by learning the truly unique techniques in Managing the Mean Math Blues. Written by an experienced math teacher and psychotherapist, this book helps students overcome their negative perceptions about math using positive psychology, brain-based learning, and study skills techniques. Students turn failure into success as they practice these new skills on basic math content. With clear psychological models for concentration and focus (called flow) into math, students learn how to match their skills with math challenges, set short-term goals and seek feedback in order to learn math successfully.